TOPAZ HORIZON: Crazy Sale at The Metro Stores! Look at what I found! 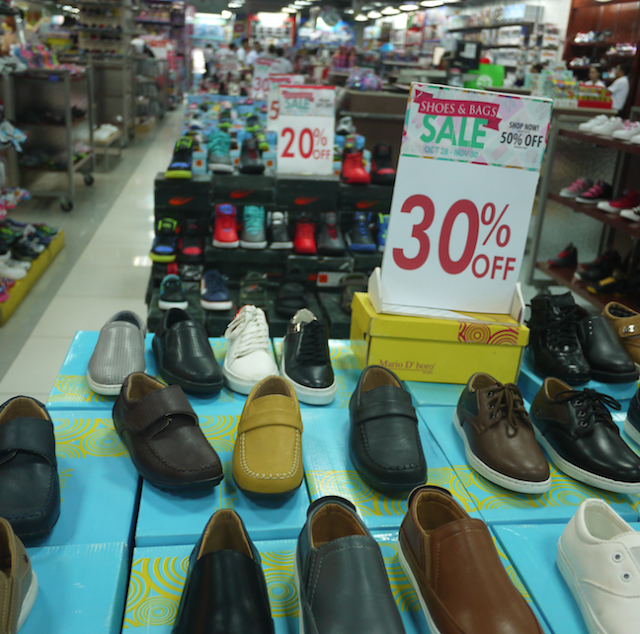 Crazy Sale at The Metro Stores! Look at what I found! Pasko na, mamas! I'm halfway done with my Christmas shopping and I even bought extra new things for me, Vince, and our little boys all because I couldn't pass up on the fantastic deals at Metro Market! Market! last Wednesday. And now I found out that tomorrow, December 2, is the annual storewide Crazy Sale of The Metro Retail Stores!!! All branches!!! But that's okay. I'm already happy with the goodies I got because even then, super mura na the prices. I can't imagine what the price tags will be tomorrow! The Crazy Sale will offer up to 50% off on a wide variety of products! Mura na nga when I went last Wednesday tapos mas malaki pang discounts bukas! I heard that the crazy deals are on appliances, furniture and home improvement, apparel and footwear for men, women and kids, toys and accessories, and even athletics and travel gear! May 13th month pay na ba kayo, mamas??? Shop na! 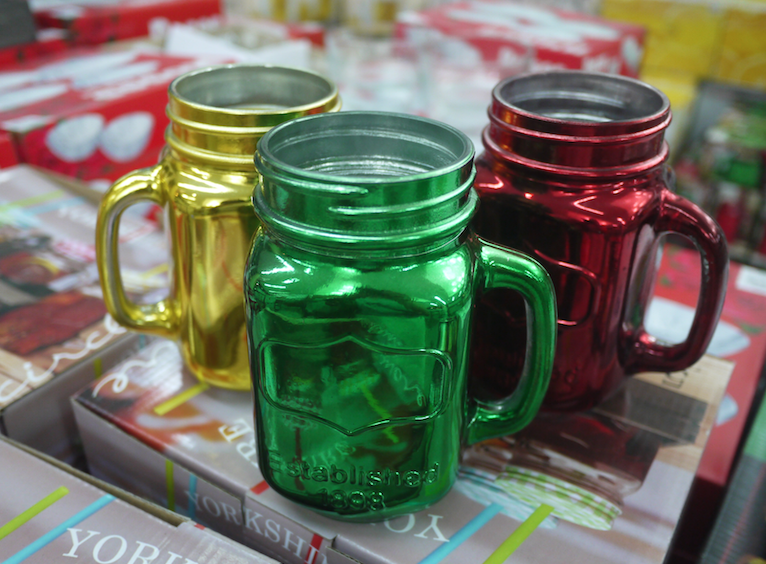 Serve your holiday guests hot chocolate in these festive mugs! Only P499 for a set of 4! Christmas villages! I'm sorry I didn't check the price tag kasi may umaaligid na guard. Natakot ako haha These are lovely! They not only light up and play music, they have moving parts, too! 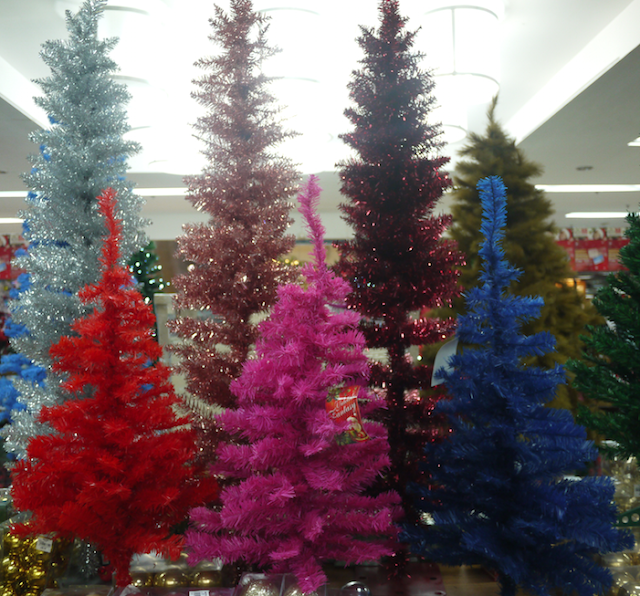 Mamas, if you want a pink tree like mine, here's a 3-foot one that's only P249.75! Baka on sale pa yan bukas! Kiddie bikes that are sturdy and well designed at just P2,700-P3,500. Hindi pa discounted yan! 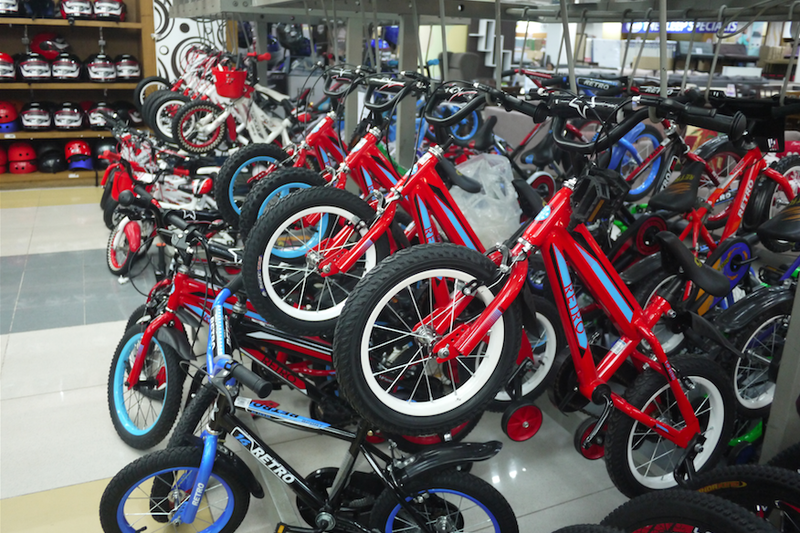 I think I'll go back tomorrow and buy a bike for Piero! 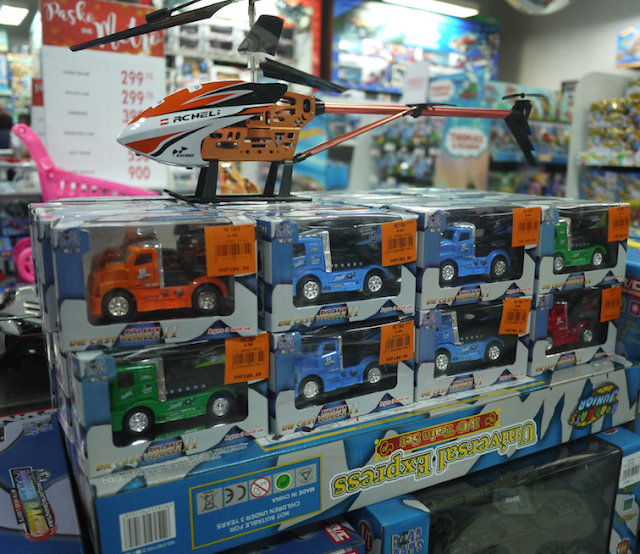 Toys toys toys! Ang dami-daming toys! 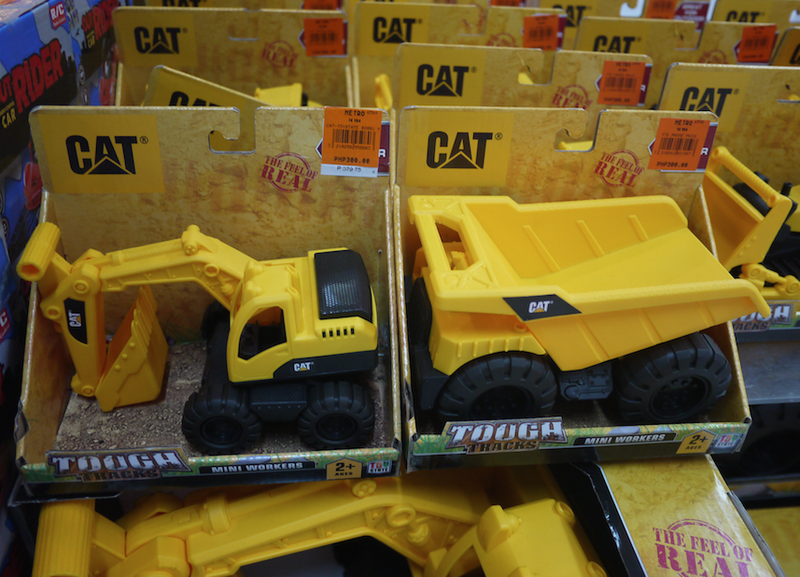 These trucks are just P100! These construction toys are super discounted na last Wednesday. P800 yung malaki, P300 yung maliit (about as big as my hand). 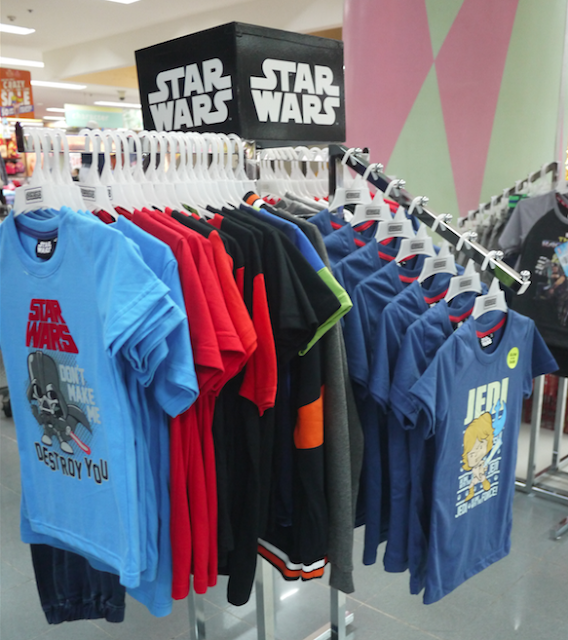 I bought my sons a lot of shirts because super mura pero super ganda! Yung P250 shirts, P199 na lang!!! I got these. 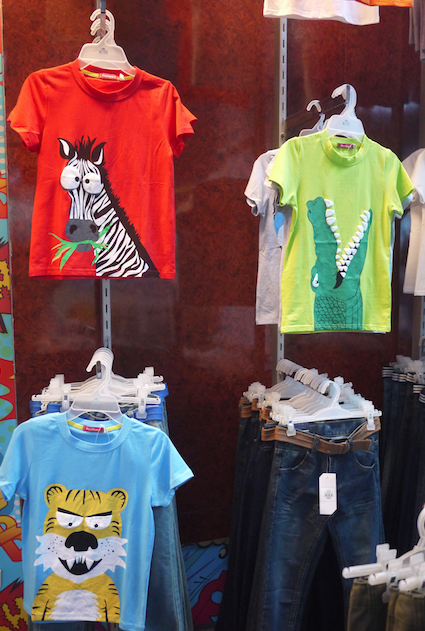 Look at how graphic and bold the shirts are. Designs are embossed, too. The shirts' material is super soft pa. Winner in every way! Want bigger deals? 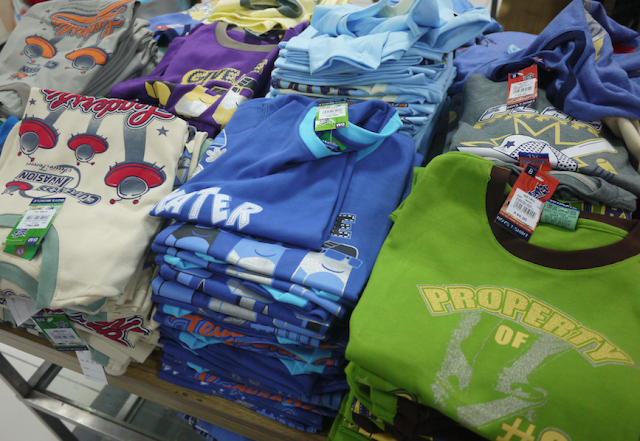 These piles of shirts are just P99 each! Grabe! Grabe rin yung shoes for the kiddies. P700 na nga lang yung iba, may 30% discount pa! Aren't these pretty??? Plastic lang yan but they made me happy. 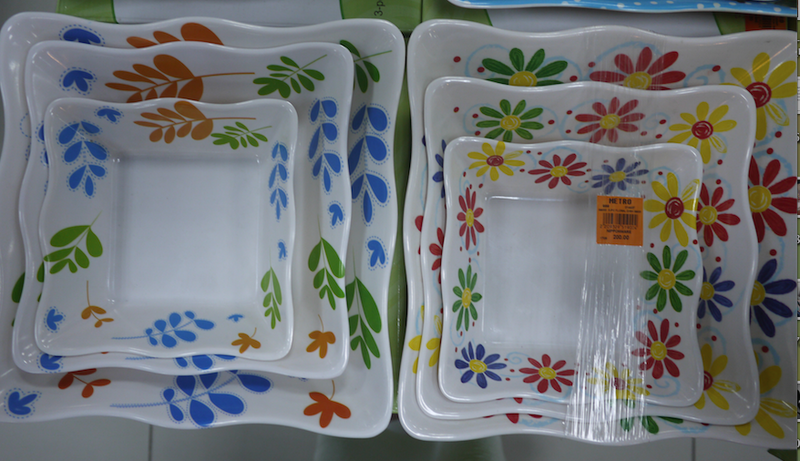 And P200 lang ang set!!! Traveling? 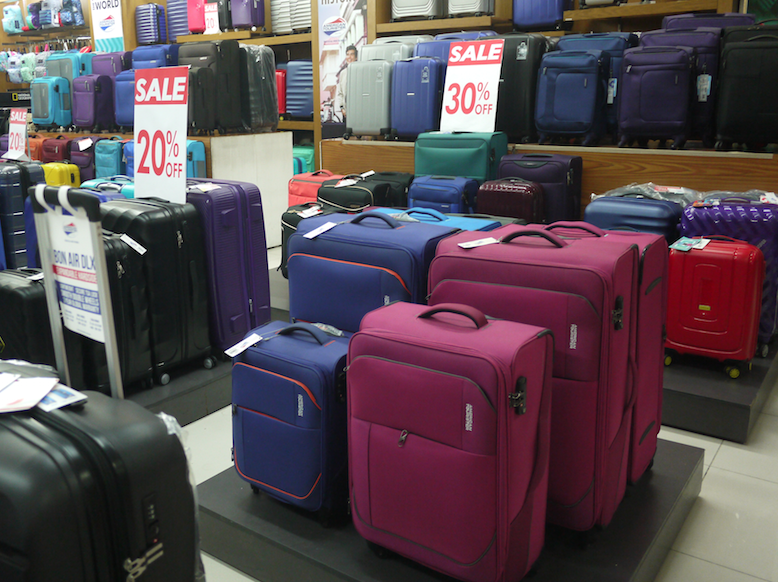 How about getting new suitcases? These are light and easy to transport. I'm lusting after those pink ones. I didn't go around the men's section much kasi my husband just needs running shorts and shirts. So super happy ako when I saw that these were 20% off. Athletic wear is expensive, you see, because they're made of different material. Hindi pwedeng ordinary t-shirt and shorts lang. So I snapped up three pairs of running shorts, three running shorts, and a pair swimming shorts for Vince! Mamas, syempre I looked for deals for myself, too. The bags are crazy affordable! Either 50% off or buy-one-take-one! Yung mga clothes when I went last Wednesday, hindi pa sila on sale but mura na rin I bought myself a soft T-shirt dress and two tops. 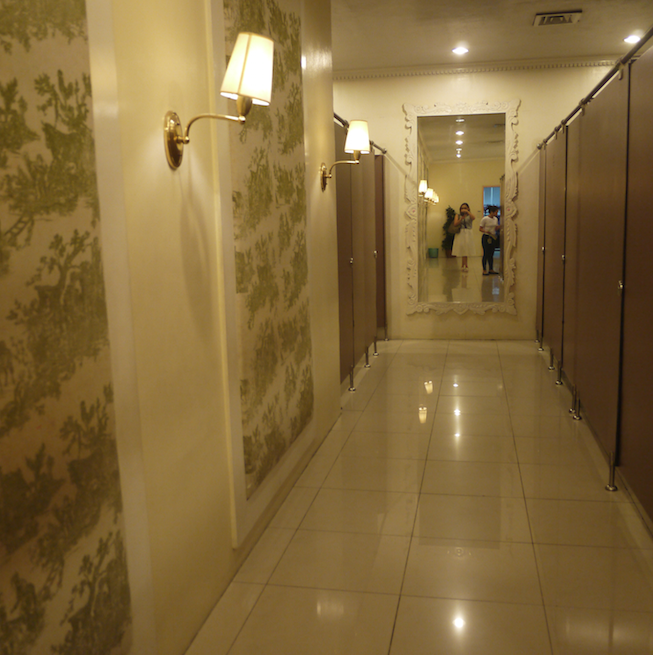 Look at the dressing room at Metro Market! Market! Soooo large and roomy and pretty! I also bought Christmas decor. 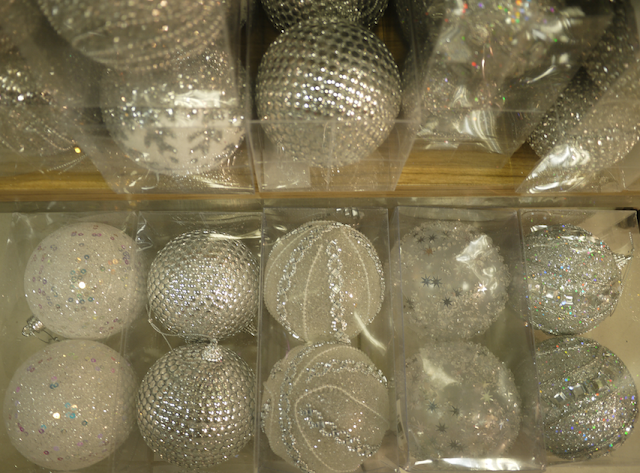 These beautiful balls are just P224! 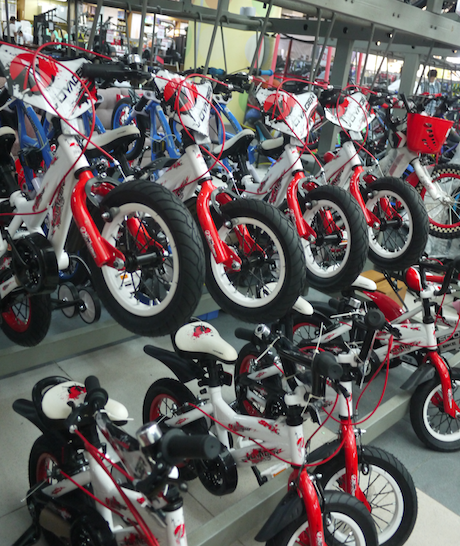 There's going to be a LOT of crazy discounts at Metro's Crazy Sale! Best of all, it's not just the Department Store that goes on sale, but The Metro Supermarket, too! You'll find the lowest prices for food and other grocery essentials. Store hours will start at 7 am and will last until 12 midnight! Such looooong hours for shopping! Spend the whole day na there! Thank you for sharing this lovely stuff that you saw when having a Christmas shopping.You also like to buy some items that can keep your budget be safe. 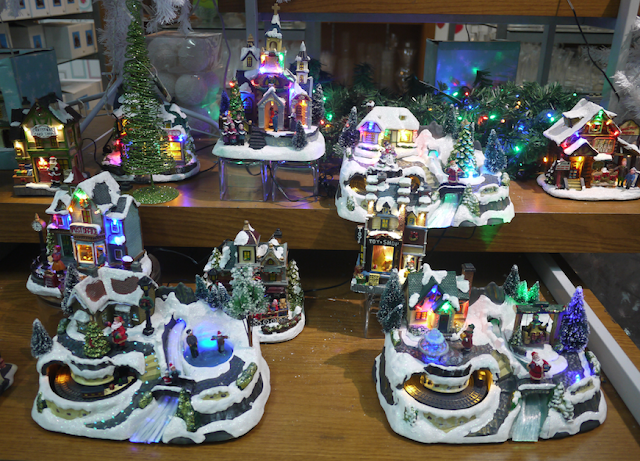 Christmas villages is only in my dreams, quite expensive. Thank you for sharing this review about Metro Stores. Next time will try to shop my things there.